This study investigates the effects of paying bribes on access to credit for small and medium enterprises (SMEs). Bribery is variously portrayed, in the literature, as greasing the wheel (helping) or sand in the wheel (impeding) applications for credit. Studies supporting both perspectives leave the issue unresolved, encouraging further analysis, using reliable data and robust analytic methods. An examination of The World Bank Enterprise Surveys of SME data for India, using an instrumental variable probit model, provides a more definitive answer. SME bribery is detrimental to accessing credit and more so for firms that have been in business for many years and operating on a small scale. Involvement of supply and demand side forces increases the need for multiple control variables. From a supply side perspective, high corruption increases difficulties for financial institutions to control borrower risk and recover loans. Accordingly, financial institutions reduce their lending to SMEs, which mostly belong to a high-risk category. Unlike large firms, SMEs paying bribes to grease the wheel are drawn to the informal sector, avoiding attention from officials. Where SMEs pay bribes in the formal sector, it is noticed and likely to increase the probability that other parties will also demand payments. The demand side argument regards bribes as tax, increasing loan costs to SMEs. 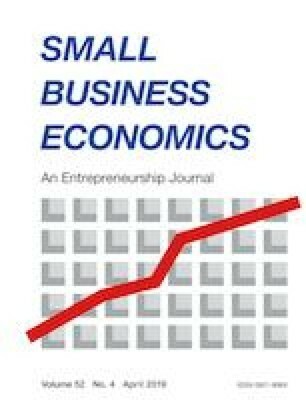 Consequently, making significant bribes decreases SMEs’ profitability. Less profitable SMEs may not obtain access to credit. From a policy perspective, anti-corruption measures, in emerging and low-income economies, are vital for developing SMEs and stimulating significant welfare gains. Francisco, M., & Pontara, N. (2007). Does corruption impact on firm’s ability to conduct business in Mauritania? Policy Research working paper ; no. WPS 4439. http://documents.worldbank.org/curated/en/972721468051561393/Does-corruption-impact-on-firms-ability-to-conduct-business-in-Mauritania-evidence-from-investment-climate-survey-data. Accessed 16 Mar 2018. Galli, E., Mascia, D. V., & Rossi, S. P. S. (2017). Does corruption affect access to bank credit for micro and small business? Evidence from European MSMES? ADBI Working Paper Series, 23. https://www.adb.org/sites/default/files/publication/327581/adbi-wp756.pdf.Accessed 8 Apr 2018. Hall, B. H., & Ziedonis, R. H. (2001). The patent paradox revisited: an empirical study of patenting in the US semiconductor industry, 1979–1995. RAND Journal of Economics, 32(1), 101–128. http://www.jstor.org/stable/2696400. Accessed 13 Oct 2017. Honorati, M., & Mengistae, T. (2007). Corruption, the business environment, and small business growth in India. Policy Research Working Paper; no. WPS 4338, 4338, 31. http://documents.worldbank.org/curated/en/171081468034785505/pdf/wps4338.pdf. Accessed 16 Mar 2018. Improving Access to Finance for Women-owned Businesses in India. (2014). Micro, small, and medium enterprise finance, 48. https://www.ifc.org/wps/wcm/connect/a17915804336f2c29b1dff384c61d9f7/Womenownedbusiness1.pdf?MOD=AJPERES. Accessed 9 Nov 2016.
International Property Rights Index. (2015). 7. https://s3.amazonaws.com/ipri2018/2015_es.pdf. Accessed 7 Jan 2016. Kar, D. (2011). The drivers and dynamics of illicit financial flows from India: 1948-2008. Economic and Political Weekly, XLVI(15). https://doi.org/10.2139/ssrn.2333086. La Porta, R., Lopez-de-Silanes, F., Shleifer, A., & Vishny, R. W. (1997). Legal determinants of external finance. Journal of Finance, 52(3), 1131–1150. https://doi.org/10.2307/2329518. Levine, R. (1998). The legal environment, banks, and long-run economic growth. Journal of Money, Credit and Banking, 30(3), 596–613. https://doi.org/10.2307/2601259. Qi, S., & Ongena, S. (2018). Will money talk? Firm bribery and credit access. Financial Management, forthcoming, 40, https://doi.org/10.1111/fima.12218. Şeker, M., & Yang, J. S. (2014). Bribery solicitations and firm performance in the Latin America and Caribbean region. Journal of comparative economics, 42(1), 246–264. https://doi.org/10.1016/j.jce.2013.05.004. Smith, R. J., & Blundell, R. W. (1986). An exogeneity test for a simultaneous equation Tobit model with an application to labor supply. Econometrica: Journal of the Econometric Society, 679–685. https://doi.org/10.2307/1911314. Van Vu, H., Tran, T. Q., Van Nguyen, T., & Lim, S. (2017). Corruption, types of corruption and firm financial performance: new evidence from a transitional economy. Journal of Business Ethics, 1–12. https://doi.org/10.1007/s10551-016-3016-y. Wellalage, N. H., Locke, S., & Samujh, H. (2018). Corruption, gender and credit constraints: evidence from South Asian SMEs. Journal of Business Ethics, 1–14. https://doi.org/10.1007/s10551-018-3793-6. World Bank Enterprise Surveys (2014). Enterprise surveys. http://www.enterprisesurveys.org/2015. Accessed 4 May 2015.